Brooklyn outfit Relations released a self-titled EP in 2012, and now they're preparing to follow it up with the full-length Songbirds. Before the album drops on April 1 via 100m Records, the band have shared a video for the song "Goodbyes." The song is a bright electronic pop ditty, while the accompanying video is a summery, vintage-looking affair. 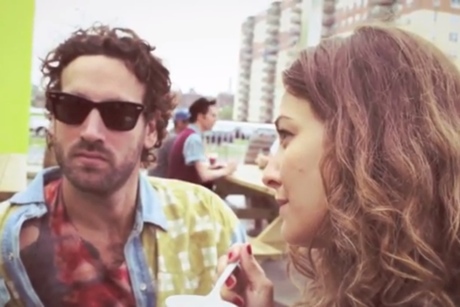 It shows a woman with wandering eyes enjoying a day at the beach with her surly looking boyfriend and ending up a Relations-related karaoke night. Check it out below, where you can also listen to a straight-up audio version of the track.